ORLANDO, Fla., – This year, Coverings updated its usual opening night awards program with a fast-paced presentation of the fourth annual Coverings Installation & Design (CID) Awards winners and the new Rock Stars program, celebrating emerging leaders in tile and stone under the age of 35. The Coverings Opening Night Celebration ceremony, sponsored by TileLetter and Contemporary Stone & Tile Design magazines, featured winner and honoree introductions by TileLetter publisher Bart Bettiga and editor Lesley Goddin as well as Contemporary Stone & Tile Design editor Jennifer Adams, followed by a reception in which guests mingled and conversed with award winners about their projects. 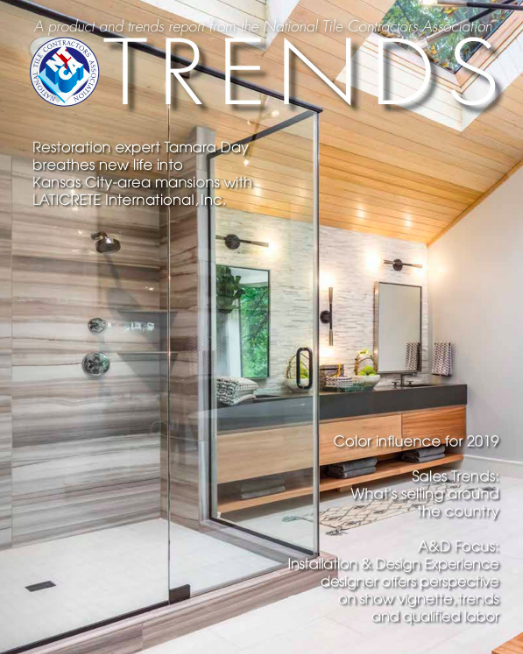 Contemporary Stone & Tile Design publisher Alex Bachrach announced Best Booth awards: Saloni (Best in Show), Unicom Starker, Antolini and StonePeak Ceramics. Two Grand Prize honors were awarded, each winner receiving $2,000 and a one-night hotel stay in Orlando during Coverings. 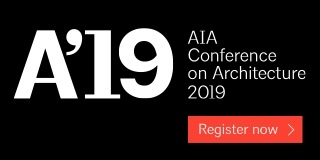 Stone Grand Prize – The Film Archive and Preservation Center in Santa Clarita, Calif.
BAR Architects and Carnevale & Lohr partnered to design and construct the stone cladding of The Film Archive and Preservation Center. 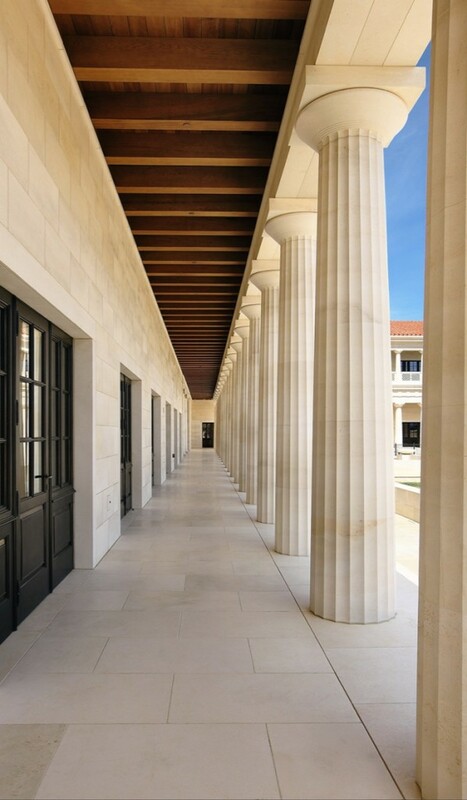 The project was comprised of the Collections Storage, a primarily underground structure, and the Stoa, inspired by ancient Greek stoas (covered public walkways or porticos, open at either end and lined with columns). The project’s exterior consists of more than 104,800 sq. ft. of handset Belmonte and Fondola limestone sourced from Trani, Italy, as well as wood ceilings, terracotta roof tiles and bronze-clad doors. 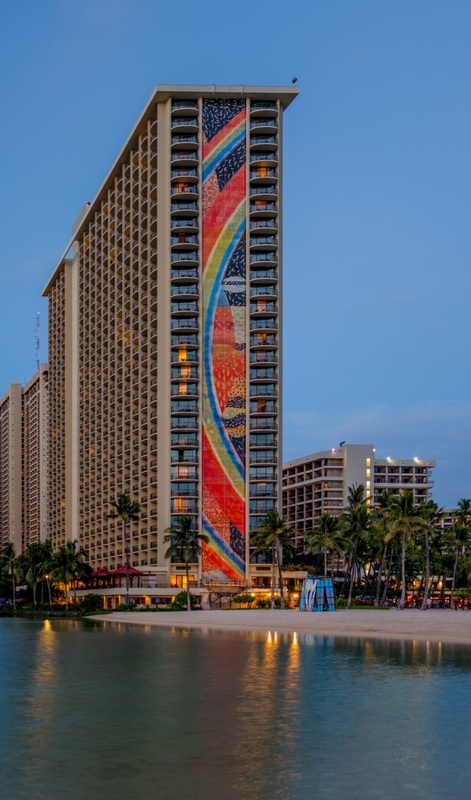 The interior of the building, featuring architecture and motifs inspired by the Florentine monastery of San Marco, contains more than 11,000 ft. of carved Pietra Serena Stone flooring. 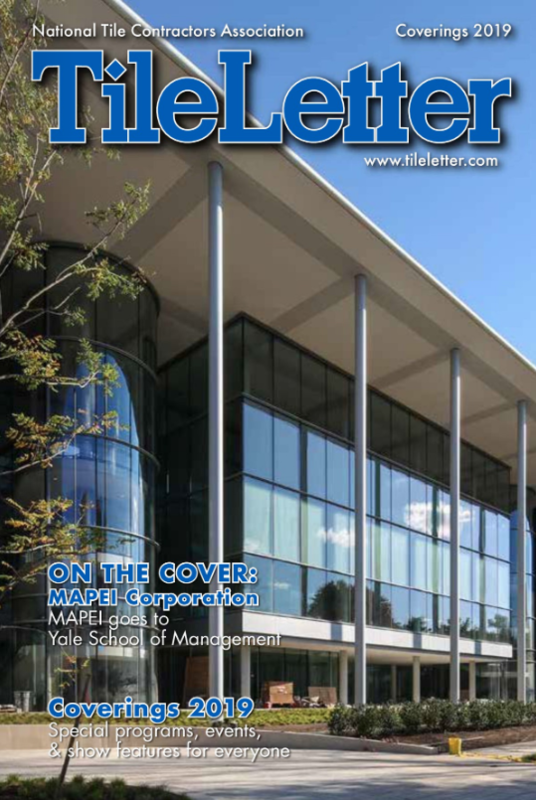 In addition to the installer’s intense commitment to the historic use of natural stone materials, the arduous project required the coordination of a variety of trade specialties, including concrete, waterproofing, insulating, framing and structural steel. 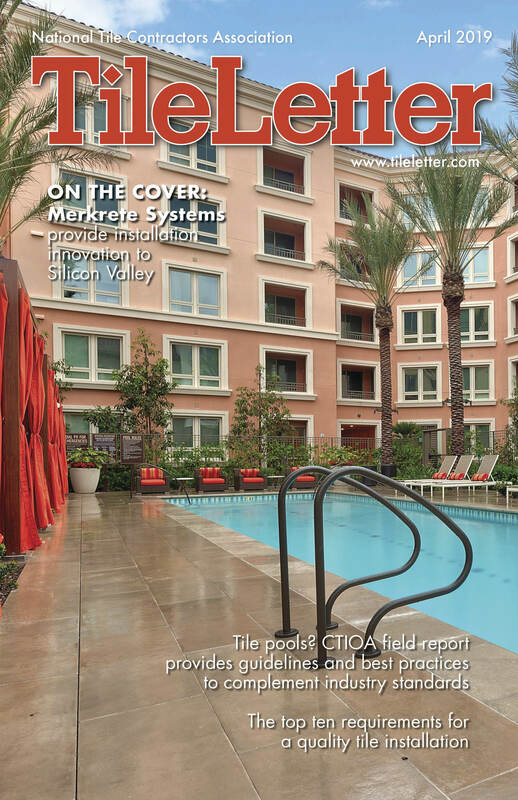 To ensure the highest degree of accuracy, a 35-ft. tall model of the project was built in Italy, to showcase the selected stone and planned installation and construction methods before the complete build-out commenced in California. Commercial Stone Design: Multi-Denominational Chapel, Jacksonville, Fla. 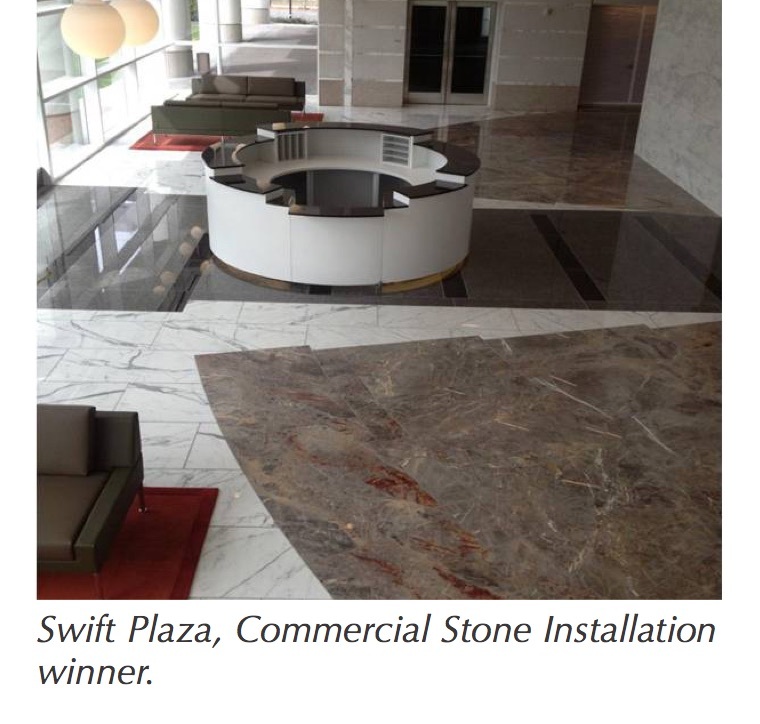 Sustainable Stone Design: Alston & Bird LLP, Atlanta Offices, Atlanta, Ga.
Commercial Tile Design: Vertex Pharmaceuticals Headquarters, Boston, Mass. 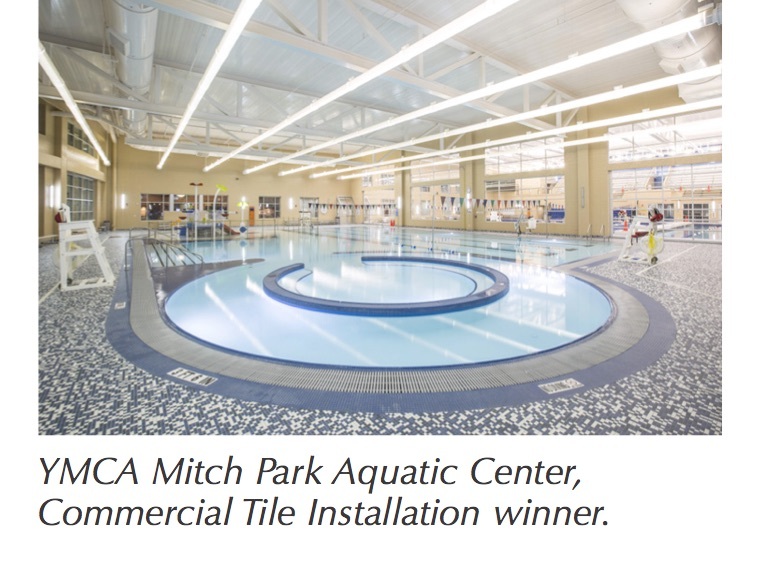 Commercial Tile Installation: YMCA Mitch Park Aquatic Center, Edmond, Okla. Residential Tile Design: Chastain Park Master Bathroom Renovation, Atlanta, Ga. Residential Tile Installation: Contemporary Desert Oasis, Gilbert, Ariz.
For more information, visit coverings.com/CID. Coverings announced the inaugural class of “Rock Stars” for the show’s newly developed emerging leaders program. Each honoree was recognized for their individual achievements and contributions to the tile and stone industry. 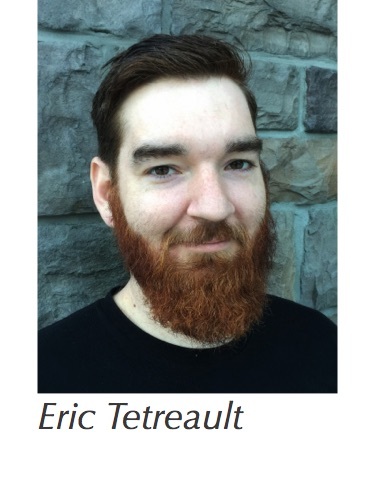 Rock Star Eric Tetreault of EJT Contracting in Saugerties, N.Y., is a NTCA member and NTCA State Director for New York. A CTEF Certified Tile Installer and ACT-certified installer, Tetreault assisted Scott Carothers with Advanced Certifications for Tile Installers (ACT) testing at Surfaces 2014 in Las Vegas. These luminaries, along with their nominators, joined in a networking luncheon, sharing insight from their experiences and discussing their shared passion of the tile and stone industry. Each Rock Star received a one-night hotel stay in Orlando to attend Coverings. To learn more about the Coverings 2015 Rock Stars, visit coverings.com/RockStars.